Earn 1.5 points for every $1 spent. 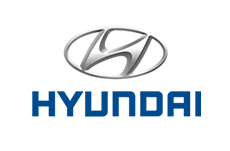 Hyundai Genuine Parts are tested under a huge variety of simulated extreme conditions. That way, we can be sure they offer the best quality, reliability and durability. Always remember, Hyundai Genuine Parts are guaranteed to fit, guaranteed to perform and guaranteed genuine.